An important part of lifetime planning is the power of attorney. A power of attorney lawyer will help you to designate someone (could be more than one person) you trust to handle your affairs in the event you are incapacitated. 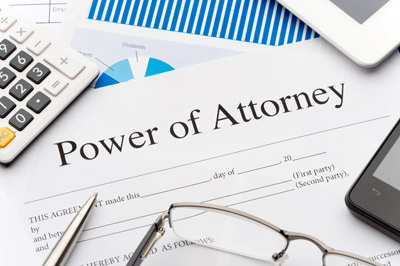 The powers that you grant in a durable power of attorney are intended to permit the attorney-in-fact (or agent; does not need to be a lawyer) to step into your shoes and make medical, financial, and other decisions on your behalf. Powers of attorney may be general, limited (such as closing the sale of your home), or special. The power may give temporary or permanent authority to act on your behalf and may take effect immediately, or only upon the occurrence of a future event (usually a determination that you are unable to act for yourself due to mental or physical disability). If you do not have a power of attorney and is unable to manage your personal or business affairs, it may become necessary for a court to appoint one or more people to act for you. If a court proceeding (court intervention) is needed, you may not have the ability to choose the person who will act on your behalf. The Eric Boles Law Firm in Tampa, Florida can counsel you on what is required of the attorney-in-fact and will walk you through your options for creating a proper power of attorney. For a free consultation with a Powers of Attorney Lawyer contact the Eric Boles Law Firm by completing the contact form (click here) or call (813) 933-7700. Let us help you to set up a power of attorney document!